Product prices and availability are accurate as of 2019-04-07 23:25:56 UTC and are subject to change. Any price and availability information displayed on http://www.amazon.com/ at the time of purchase will apply to the purchase of this product. 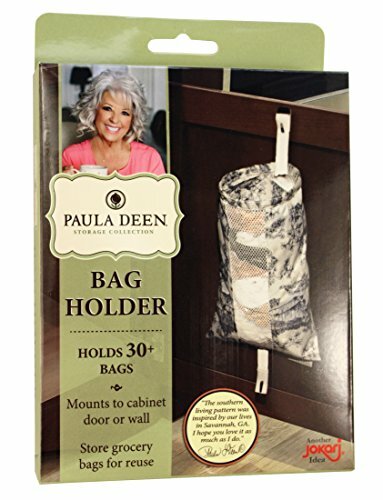 Conveniently save, store and organize plastic bags with Jokari's Paula Deen grocery bag holder. 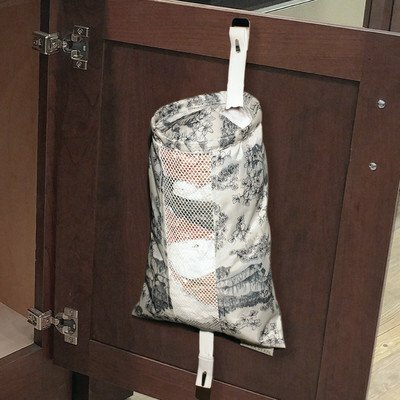 The attractively designed holder measures 8.5 inch x 18 inch x 6 inch and holds over 30 plastic bags so they can be reused. It comes complete with 2 adhesive-backed hooks and a mounting strap for quick and easy installation inside a cabinet or on the wall. The bag Holder's delightful Southern living toile pattern was inspired paula's life in Savannah, Georgia; it's exclusive to Jokari and, because the beautiful off-white and Navy design is printed on durable and stain-resistant 150D polyester, you know it will serve you (and your reusable plastic bags) well for years to come.